We’ve just received excellent news : our film was selected to be part of the official selection at the USA Film Festival! It is quite an important festival in the USA and a first prize in the animation category could make our film eligible for an Oscar nomination. Let’s hope for the best! 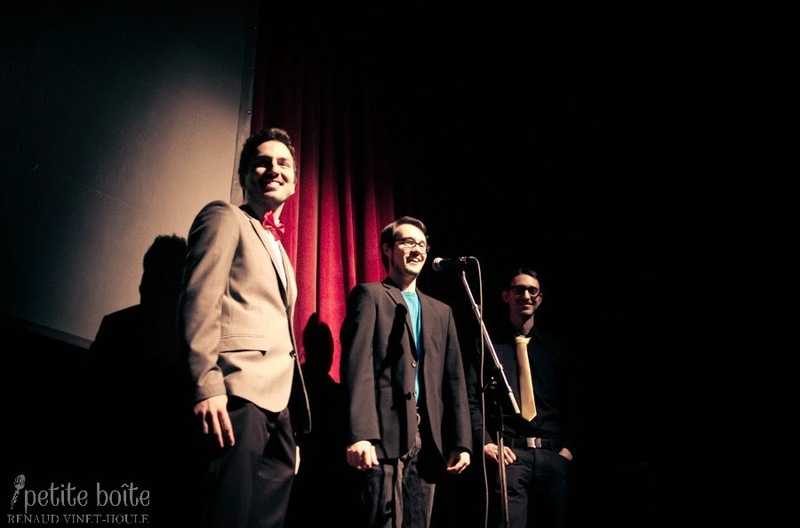 We’d like to take the opportunity to thank again everyone who came on March 14th for the Premiere. Sharing the movie with you was really magical! A quick message too for those who contributed to the Kickstarter and who are wondering when we’ll be sending out the download links for the film. 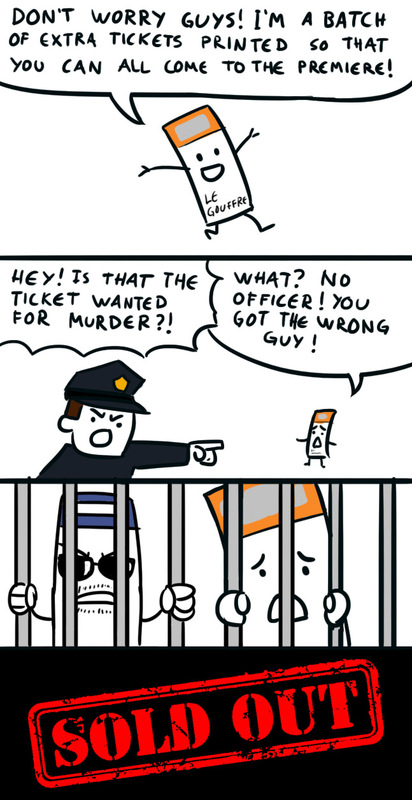 Sadly, you’ll have to wait a little longer! Many festivals don’t accept films that have been put online and that’s not something we’ll be able to control once we send out the film. 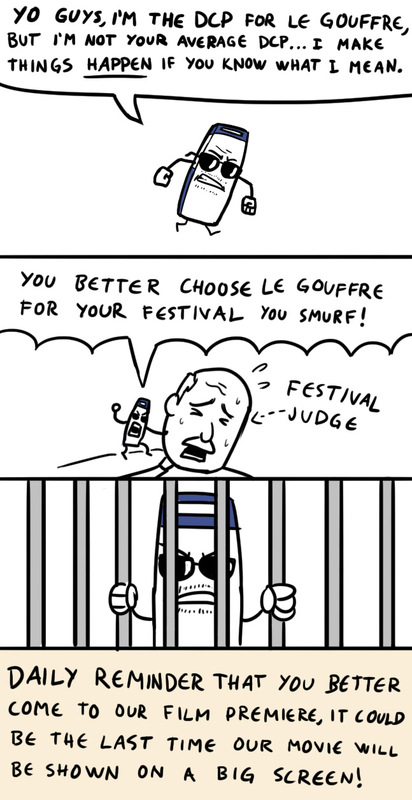 That’s why we’d like to wait towards the end of our festival run before doing it. We’ll let you know when we’re ready! Thanks and have a great week everyone! One week before the premiere! We’re very excited that the premiere is already next week, it’s crazy how time flies by! You can still buy tickets in presale, but hurry up! For more details, please consult the premiere announcement we posted a couple of weeks ago. We can’t wait to see you all and finally show you our film, we can feel it’s going to be an awesome night! The last few weeks have been a little strange. On one side, it’s back to normality with the search for contracts to fill up our dangerously low bank accounts, and on the other hand the adventure continues with the festival run. 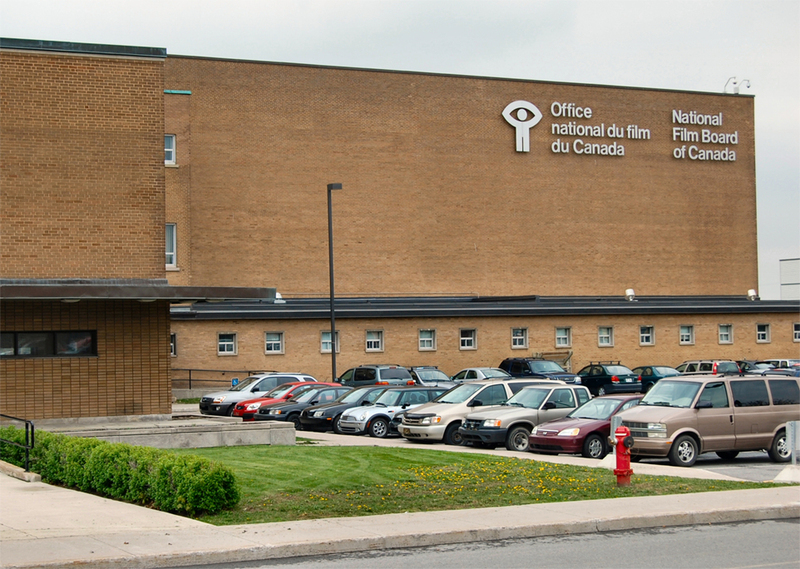 First we’d like to mention that we finally saw our film on the big screen for the first time at the NFB last Friday with the audio mix in 5.1. It was a very enjoyable experience, and we’d like to give a big thanks to the NFB for their help with the creation of the DCP. For those who are wondering what a DCP is exactly, it’s an acronym that stands for Digital Cinema Package. Most big festivals ask for a DCP to project the final movie if it is selected (that or on film, but that would be a lot more complicated in our case). 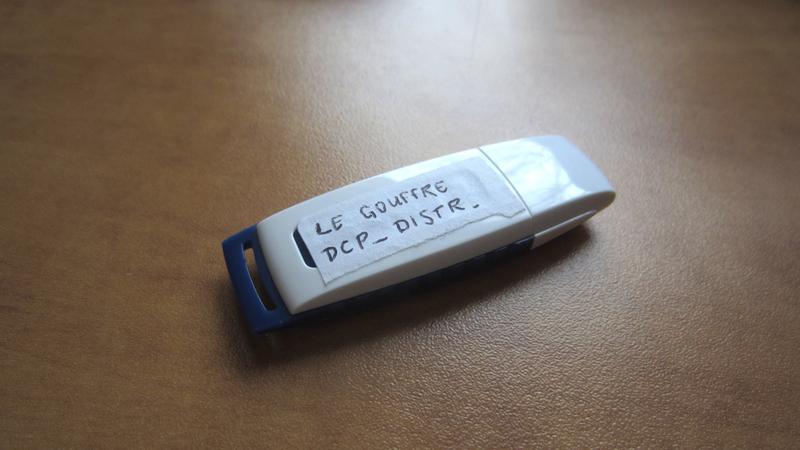 A DCP can be contained on a portable hard drive or a USB key and is formatted so that it can be read directly by cinema projectors. Here’s what our master copy looks like! Of course we’re still only at the stage of submission so we need to wait and see if we’ll be selected. Fortunately we still have a long list of festivals to which we want to send the film so we shouldn’t have too much time on our hands to worry about that. All of this isn’t free (registration fees + DVD shipping is raising to about 600$ now), but if we can win a prize or two along the way it will have been worth it! We wish you all a great week, and we can’t wait to see you on March 14th! As you can see, we are shaking things up and starting the new year by posting on Monday instead of Wednesday. With only a few weeks of work left on the film, we’ll probably be a little less constant than usual from now on and only post when we have important news to report… like today! 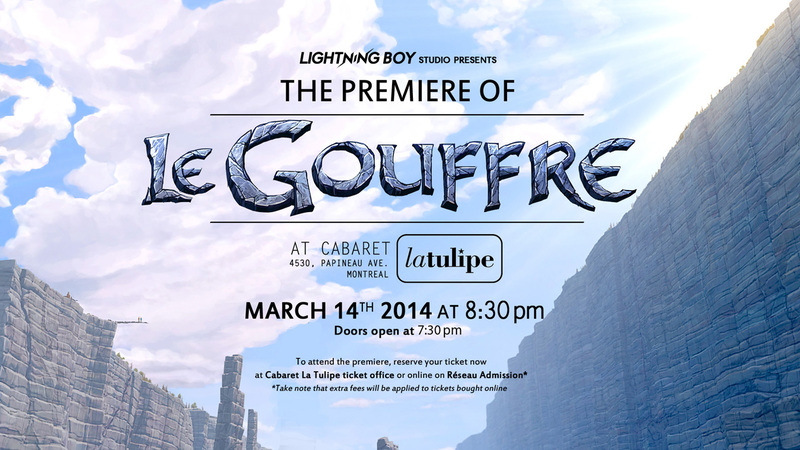 We have the pleasure to announce that Le Gouffre will be holding its official premiere on Friday March 14th at 8:30pm at the Cabaret La Tulipe (Montreal)! 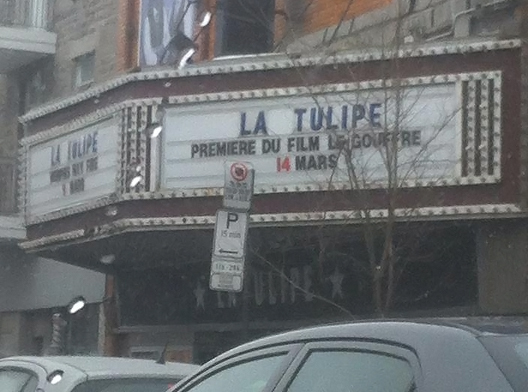 The tickets are already on sale at the Cabaret La Tulipe ticket office for 7.50$. You can also get your ticket online on Réseau Admission, but extra fees will apply. For those who will want to party late with us, there will be the POP 90’s dancing night starting at 11pm (the cover is usually 5$, but it will be free for all those who have a ticket). In short, we’ve got a great evening planned ahead! We would like to remind people who gave 25$ and more to our Kickstarter campaign that we will have a free ticket held at the door for them. If you have any questions, please contact us at info@legouffre.com.